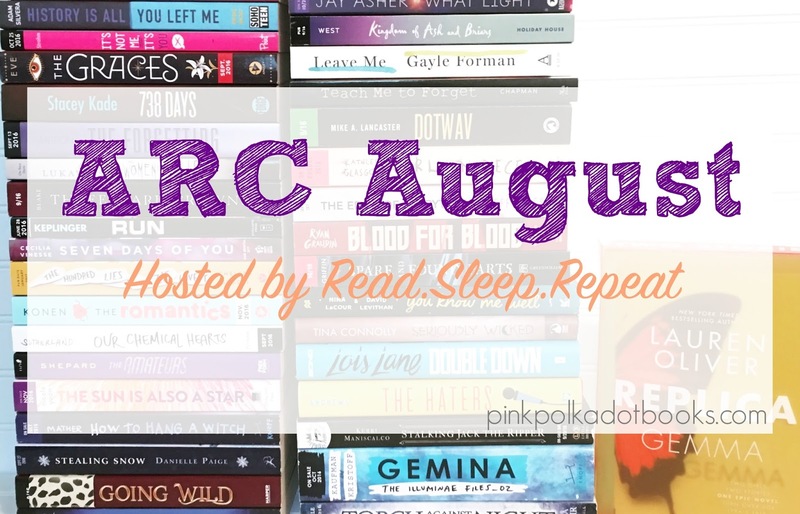 Pink Polka Dot Books: It's ARC AUGUST Time!! 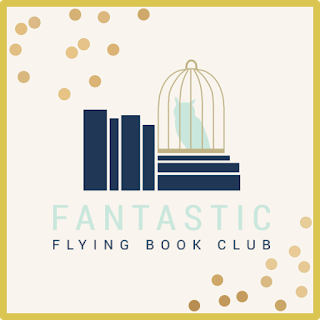 I'm doing ARC August for the 2nd time-- even though I'm completely terrible at reading challenges of any sort, I like to try. My friends at Read.Sleep.Repeat are hosting this for the 5th year, so if you want to join in and kill off some of your ARC pile, head on over! So here's my ARC August plan. I'd like to read a lot of ARCs that I accumulated this year. I'm also going to throw in a few older ones that I had been meaning to read. Why? Because I haven't read a supernatural fantasy book in FOREVER. Why? Because OMG it's E. Lockhart and I have read EVERYTHING she's written. Why? The cover is adorable. Why? SARAH MLYNOWSKI!!! That's why. Why? I started this today!! Why? I love Thrillers & I meant to read this 2 months ago. Why? 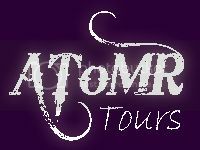 It sounds SUPER unique and I helped run the blog tour, so MUST READ. Why? I started this back in February, but got distracted. I really want to finish it. Why? I super enjoyed the first book, and now that the 3rd book is out, I think I should read the 2nd one already. Why? My friend Cassi loved this one, so I want to see what it's all about. So, if I ever read 10 books in a month, I'd die of shock. My ambitions are always bigger than my reading abilities. I'm going to try to do alllll the reading though. Let me know which ones you think I should read first (especially considering it's highly unlikely I will get to them all). Same!! The first book was very fun. I only read the first little bit of Goodbye Days, but I think I just wasn't in the right mood for it. I'm sure I will like it because it's a very "me" kind of book. YEAH! Read The Forgetting. It's great. I really hope you love it. Also, I totally want to read Genuine Fraud soonish. I am making an effort to read The Forgetting. It will happen this month!!! I haven't read any of these, but there was a lot of buzz around Genuine Fraud and it seems to have gotten some good reviews. 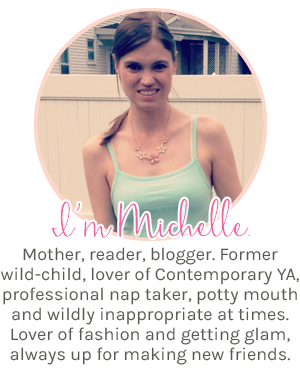 Best of luck with your ambitious tbr! I am PSYCHED about Genuine Fraud. I SO love E. Lockhart. I'm kinda disappointed that the book is so thin-- but maybe a lot will be packed in those few pages!! I like the Double Down, but have fun and good luck!! Good luck to you too!! I just checked out your post about what you read in July and WOW-- you read a lot!! I'm sure you'll do great in ARC August if you signed up! I am excited for the new Lockhart book, and I had wanted to read The Big F, but my co-blogger took it to NC with her *sad face* Goodbye Days made me cry a bunch (it was really good), and I liked Follow Me Back. Good luck with ARC August! I have your Twitter a follow! It looks like you have a great pile to read! I need to read Genuine Fraud soon too. The Disappearances sounds so good. I can't wait to hear what you think of it!